Apparently, the South is all snowed in, but we are having lovely weather her in the Pacific Northwest. In fact, it's so nice that Deek and I headed out to the beach this past weekend. So, I've mentioned before that I'm a budgeting kinda girl. If you haven't looked into Dave Ramsey, you really should. Great information there! Well, Deek and I sold several items over the last few weeks. We put some money toward bills and some in savings, but we still had a bit leftover. We were sitting in bed last Wednesday, and Deek said, "Let's use that money for a trip to the beach." Since we had the cash in hand (no trips using credit cards--no way, no how), I said, "Let's do this thang!" That Friday night, Deek took me to Portland for a date. He's always wanted to walk the boardwalk there, so we made that happen. While walking, I asked him what's the one thing he's always wanted to do at the beach but has never done. He said, without hesitation, "Ripley's Believe It Or Not." He's been going to this beach since he was a child but has NEVER been. I told him we should do that first, the instant we rolled into town, before we did anything else. 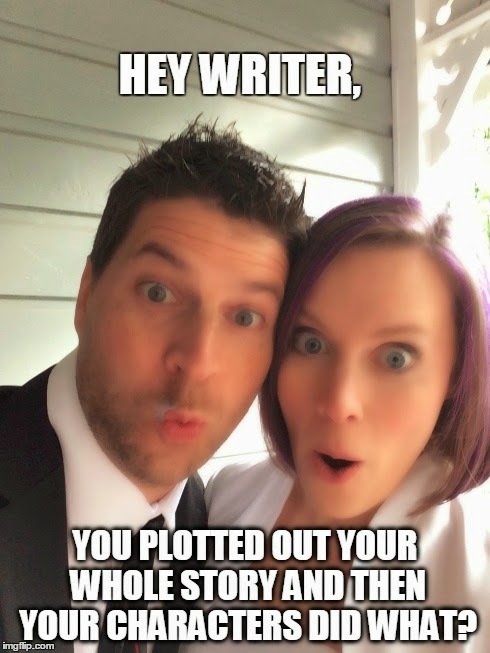 And we did. We had a total blast on our date and at the beach. I FINALLY got to see a famed Pacific Coast sunset, and it was breathtaking. Here is a pictorial view of our fun! Maybe it will give those of you who are snowed in some hope for the coming spring and summer! Deek and I decided to go for a "Portland" look on our date, so we wore our glasses. So fun! I can't show you my full shirt yet because I bought it for promotion during Deek's 122 Rules tour! Squee!! At the entrance to Ripley's. It's so PNW to have BigFoot! Giving BigFoot a little snuggle. He was quite frightened when he lost his head! Deek's in charge of the Enterprise! 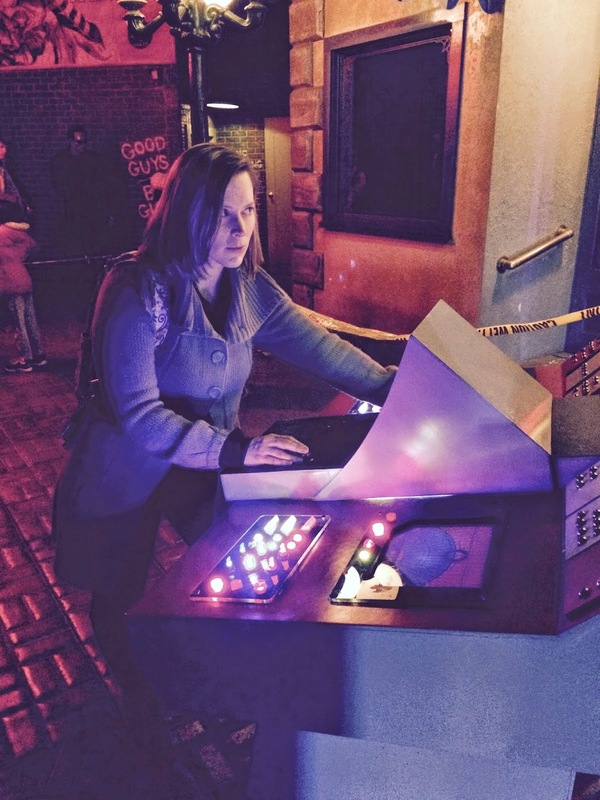 Erin's in charge of the Enterprise! We saw tons of sea lions! I've never seen them in real before, so I was super excited! They are NOISY! We're the Gumby people in the middle! Moved on to Karate Kid... LOL! Sometimes, our life feels like a dream--the best dream I've ever had! Watching the sunset while sitting on a piece of volcanic rock. WUT? Ah-mazing! Eating at the same restaurant where Deek ate as a kid. The beach the next day! Gorgeous! It was a little strange though because I'm used to the sun rising over the ocean. There is a bunch of driftwood on the PNW shores (very unlike the East Coast shores), and people build cool structures with it! Deek and I sat against a piece of driftwood and chatted for hours. I love this man! For those of you who are snowed in, I'm changing my one of my favorite TV show's lines to say, "Spring is coming." Hang in there! It's almost March. Hold on to visions of the warm sunshine, flip flops, and sandy beaches! SUPER BAD The unexpected conclusion to the Super Villain Academy series. 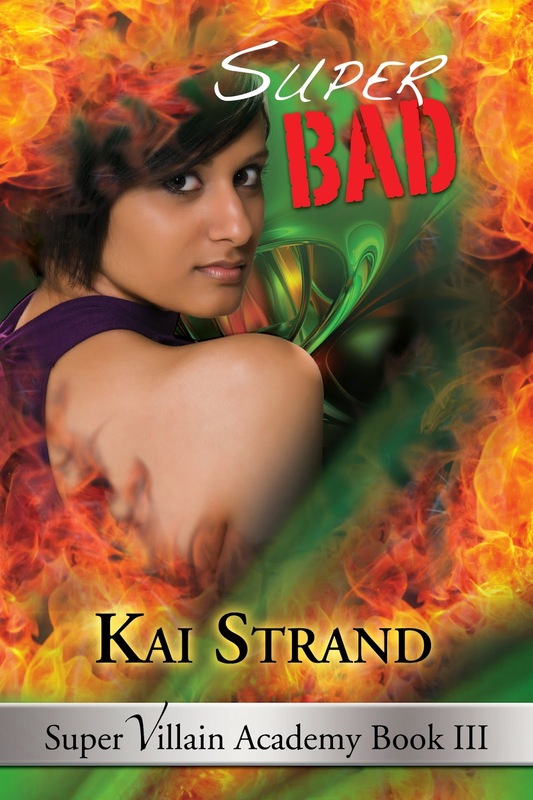 Super Bad is scheduled for release in June, but there have been whispers of it releasing sooner. Don’t miss out. Subscribe to Kai’s mailing list and be among the first to know. King of Bad - Jeff Mean would rather set fires than follow rules. He wears his bad boy image like a favorite old hoodie; until he learns he has superpowers and is recruited by Super Villain Academy – where you learn to be good at being bad. Is Jeff bad enough for SVA? Polar Opposites - Heroes and villains are balanced. After Oceanus is kidnapped, Jeff learns the supers are so balanced, they no longer care to get involved. Ironically Jeff’s superpowers are spiraling out of control. Will they find Oci before he looses it completely, and will they find her alive? 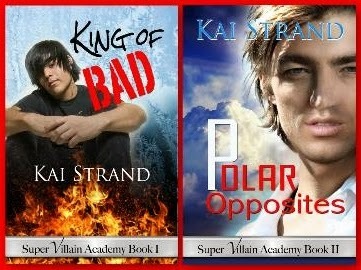 Win a $10 Amazon gift card or an ecopy of either King of Bad or Polar Opposites. Plenty of chances to win. When her children were young and the electricity winked out, Kai Strand gathered her family around the fireplace and they told stories, one sentence at a time. Her boys were rather fond of the ending, “And then everybody died. The end.” Now an award winning children’s author, Kai crafts fiction for kids and teens to provide an escape hatch from their reality. With a selection of novels for young adult and middle grade readers and short stories for the younger ones, Kai entertains children of all ages, and their adults. Learn more about Kai and her books on her website, www.kaistrand.com. Hey there! I hope you had a marvelous Valentine's Day this year. I know I sure did!! I joked to Deek that I wondered what y'all out in the web-world thought we'd do for Valentine's Day. I wonder how many voted for quiet time at home and how many voted for some grand adventure. LOL! I totally don't know why I put this picture here. It just fit somehow. LOL! Sooooooo...I say all that to say that Deek and I spent Valentine's Day much the same way we spend other days--enjoying time together. That's all I really want anyway. Time with my husband. His attention. His affection. That's more valuable to me than all the cards, flowers, jewelry, and even chocolate in all the world. We slept in (hooray for sleep!) and then headed over to the mall. We ate lunch at one of my favorite spots--Panda Express. We've been following the paleo/primal diet since December, so going to Panda was a HUGE treat! Then we walked around the mall, hand-in-hand, and talked. We didn't buy anything except for a cheap pair of fake glasses. #NerdsRule I do have real glasses, but the prescription is so high that I can only see out of a narrow field of vision. So, my contacts plus fake glasses? YES! Perfect combo, and it gives me an artistic, authory, PNW vibe. I dig. I LOVE this shot! Hahahaha! The perfect Valentine's Day spread! I got what I wanted most this Valentine's Day. More time with my husband. 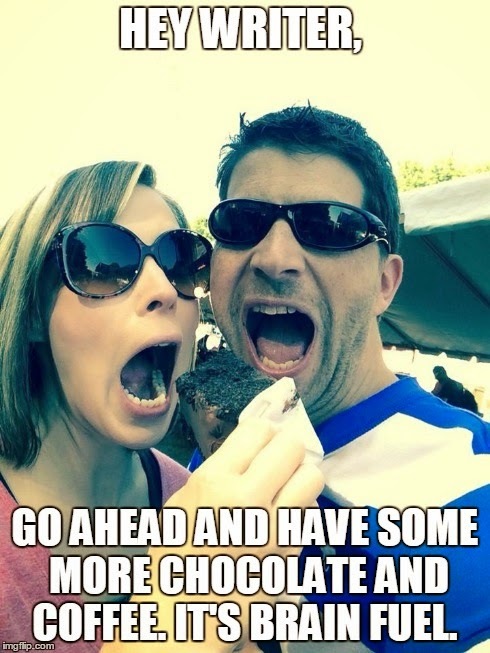 But we do these things every day (minus the pizza, Coke, Reeses and Panda Express since we're paleo). Every day, we make our relationship a priority. We talk, share, joke, and laugh. I want my husband to know every day, not just one day a year, that I love and adore him. He's my own personal sunshine in this world. I'm going to get on my soapbox for a second, so be prepared. Don't settle, my friends. Your person--the one with whom you can be yourself and with whom you can experience life-altering love--is out there. I read this thing on Facebook recently that said, "One guy can make you hate all men, but one man can show you that not all guys are the same." Deek is the man who showed me just how wonderful men, love, and romance can be. He doesn't fall into the stereotypical "guy" jokes. He helps around the house, cooks better than I do, puts down the toilet seat, is an excellent communicator, and shows me how much he cares all the time. I don't think I can fully express in words just how much I love and adore him. Last night, we were looking at an amazing sunset, and I told him, "There are just some things that can't be captured in photographs or paintings, nor with words. Some things just have to be experienced. Our love is like that." So, my friends, never lose hope that your special someone is out there! There has been a lot of debate lately about 50 Shades. If you've posted an article on social media (for or against), I've probably read it. I'm not here to convince you one way or the other. We're all adults that can make informed decisions. But whether you're vehemently against the movie or you pre-ordered tickets, it's important to remember that there are women (and some men too) out there who live that lifestyle against their will. To those people, I want to say... Get out as soon as you can. If anything your partner wants to do makes you uncomfortable, don't do it. Don't let that person manipulate you into doing things that you don't want to do. Love is not about control. It's your body, and you say what happens to it and what doesn't. If your partner doesn't respect that, he/she is NOT the right person for you. Do not stay and cling to the hope you can change that person. You'll only end up hurting yourself and missing out on the opportunity to be with someone who will love you as you are and make love to you in a way that resonates with your soul. Is it just me, or does this cold season seem particularly bad? I've been corresponding with several of my friends back in the South, and they have been sick for weeks. I talked to my grandma (aka: Mema) a few days ago, and she said she had this same cough/congestion thing I've had. She said it lasted 3 weeks. Huh? Around Christmas, my Facebook page was full of people whose family members had come down with the flu. It's been a crazy winter. I'm always rooting for spring during the winter time, but I think I'm redoubling my efforts now. On Tuesday, I had to drag myself out of the house to do some authorly things, so I rocked out the 80s in this awesome vest given to me by Wendi Nunnery! Speaking of Deek, I need to brag on my wonderful husband! I have been up coughing many nights in a row now. In fact, I'm even annoyed when I hear myself cough, but Deek has the patience of a saint. He wakes up with me, gets me anything I need, and rubs my back until the coughing calms. He stays on top of my medicines (they all have different times to take them) and makes me delicious soups to eat while I recover. He's just plain amazing!! People, your "right person" is out there. The person that will make you feel loved like no other. The person that will brighten even your darkest days. Don't settle in this life. Wait for that right person because life with him/her will be WELL worth the wait! 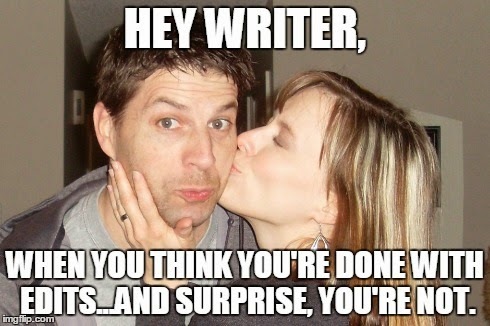 On a writerly note, my friend and critique partner, Michelle Pickett (bestselling author of Pods), just released Unspeakable. I had the pleasure of reading and consulting on the piece while it was in production, so I can vouch for Michelle's writing genius! How is that for a totally random blog post? My ADD is in full swing with the lack of sleep. Haha! Wishing you happy dreams of warm summer fun! !